Mark your calendars and get ready to party at Purpose Church Claremont’s ONE YEAR birthday party! Don’t miss out on COFFEE + DONUTS before the service at 9:30am, WORSHIP service at 10am, and a FREE celebration lunch at 11:30am. 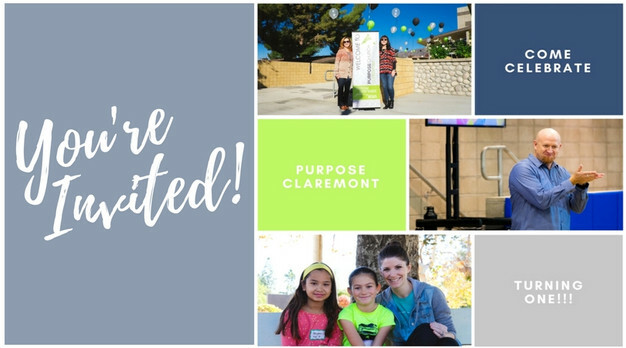 We can’t wait to celebrate all that God has done at Purpose Church Claremont this past year. See you there!